The 2011 Festival of Trees at the Western Development Museum is something you and your family won't want to miss this year. This year's festival runs Nov. 20-26 and is open daily 9 a.m. - 9 p.m. This year's theme is "A Storybook Christmas," and the entire museum has been transformed into a Christmas wonderland. The kids will enjoy the beautifully decorated trees, wreaths, stockings, snowflakes and gingerbread houses. They also can catch local talent on the Entertainment Stage. New this year in celebration of the Storybook Christmas theme, the Saskatoon Public Library and Global Saskatoon are sponsoring Once Upon a Storytime nightly. Professional storytellers from the library will entertain families with live holiday storybook readings, games and songs. Seating is limited, so arrive early. 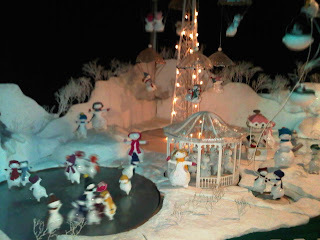 Also running Nov. 15, 2011 through Jan. 8, 2012, is the Eaton's Once Upon a Christmas display. This animated display was originally built by the Eaton's company for its Winnipeg store in 1946. 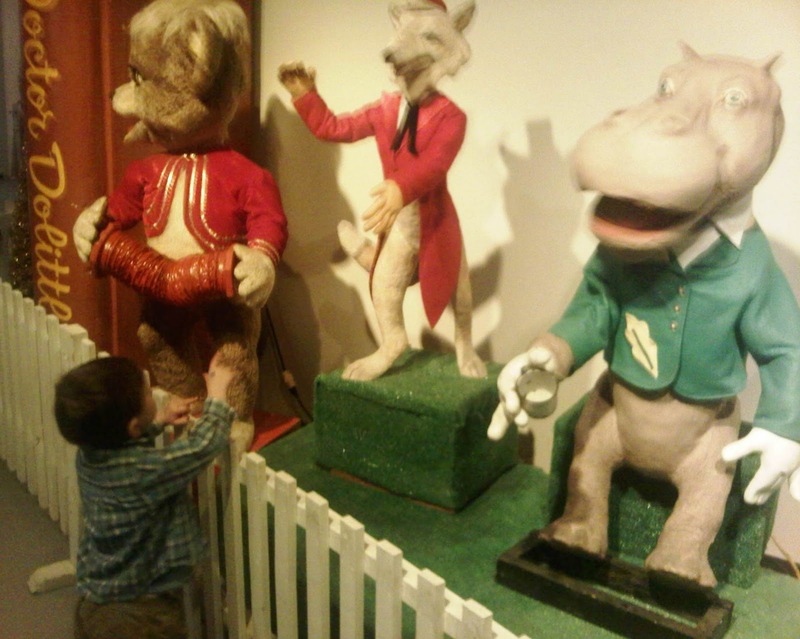 While the WDM has done a great job preserving these treasures, some of the characters are showing their age, but my son doesn't seem to notice. He is mesmerized by the moving Santas, angels, animals and snowmen in this one-of-a-kind display. Click here for WDM admission information and to access a 2-for-1 admission coupon. If your family does not have a membership to the Western Development Museum already, I can highly recommend one. Free access to the museum itself is worth the fee. My family also really enjoys free entry to all of the great WDM events like this, and gettting 10 percent off menu items in the Boomtown Cafe. The coupon says it's not valid for special events. 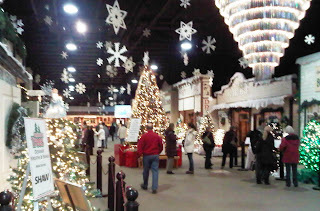 Wouldn't the festival of trees would be considered a special event? You are correct! Since this is a fund-raiser, the two for one doesn't apply this week, but will for the rest of the time the Eaton's Christmas display is running. However, they are accepting free admission for members. My apologies for the mix-up.